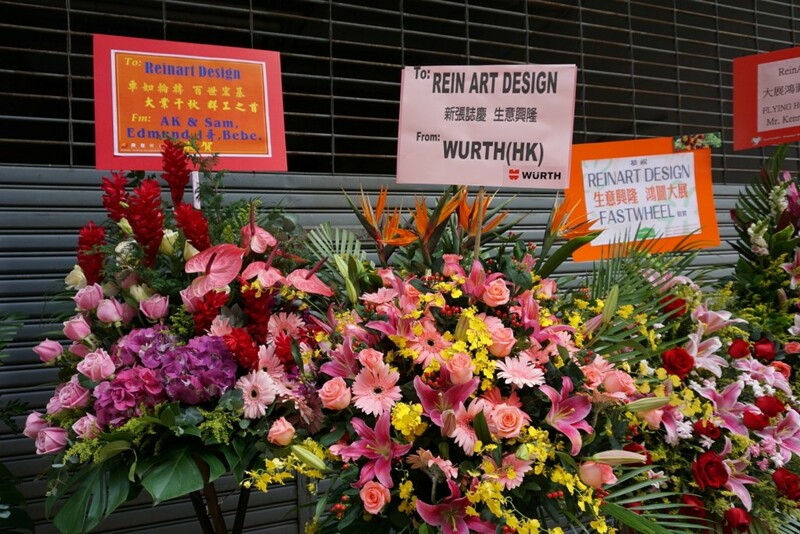 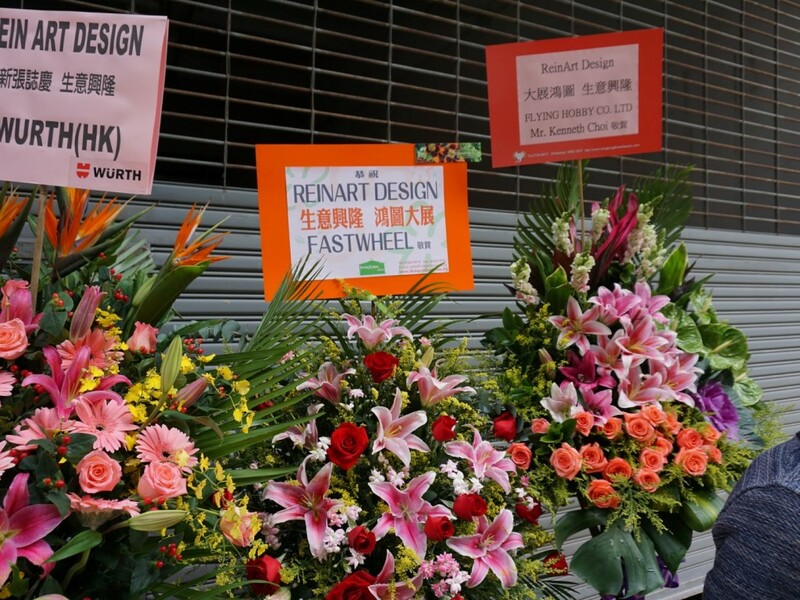 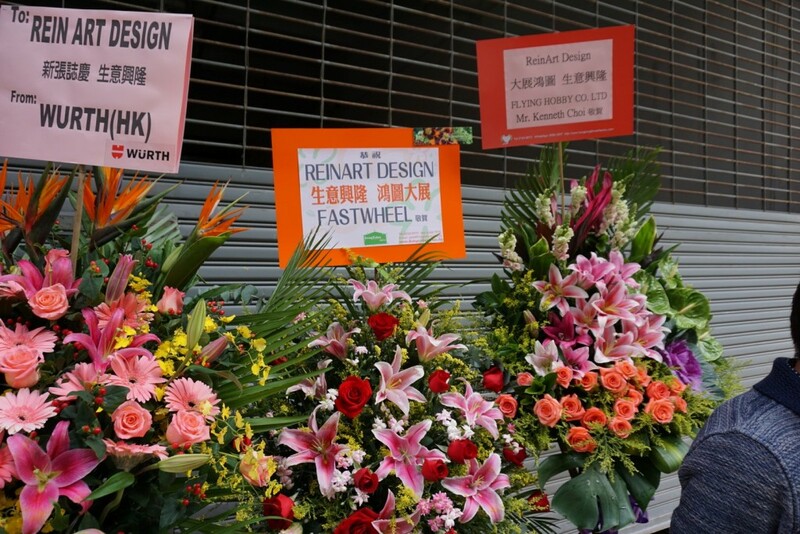 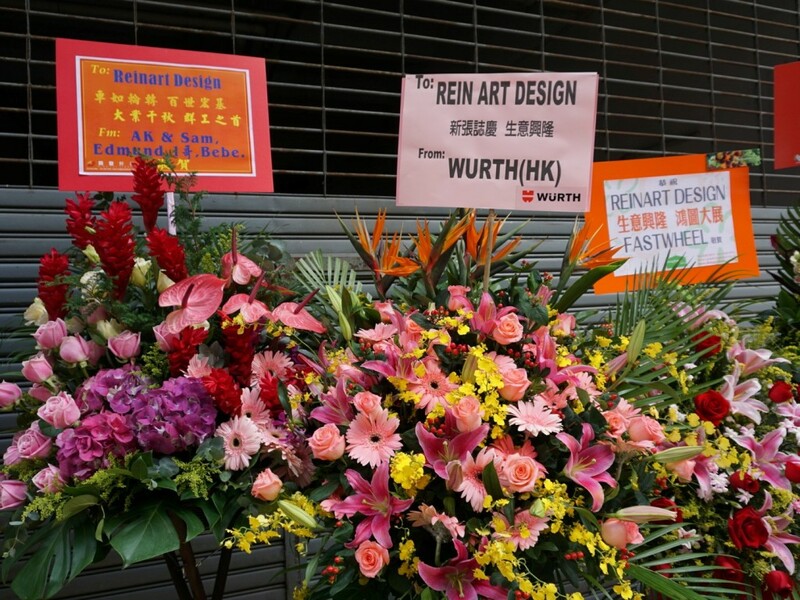 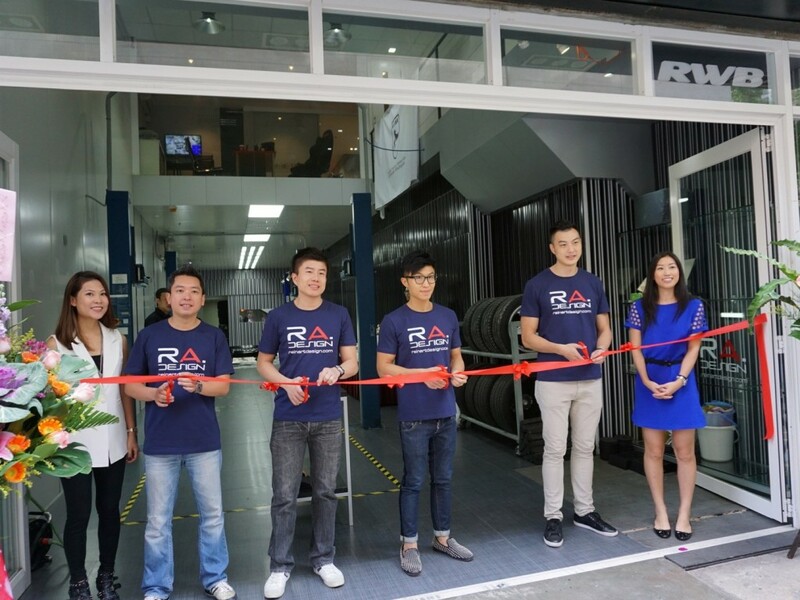 On November 23, 2014, we had our grand opening event for ReinART.Design + RAUH-Welt Begriff Hong Kong. 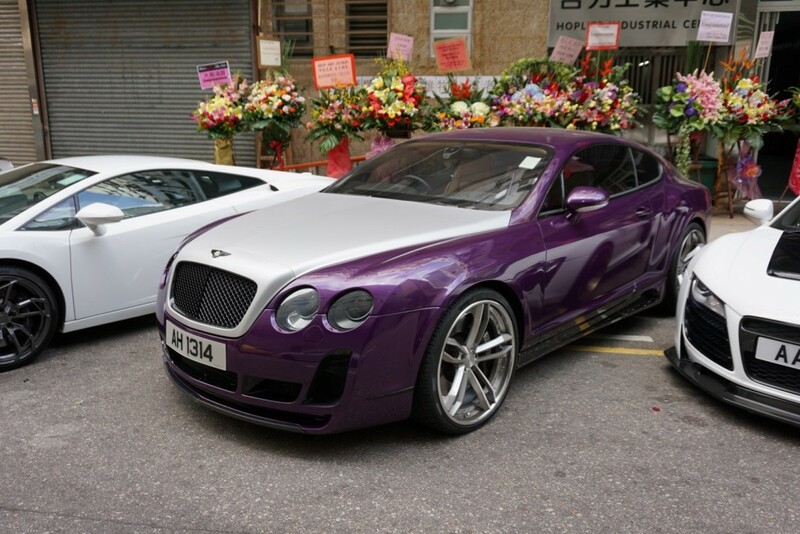 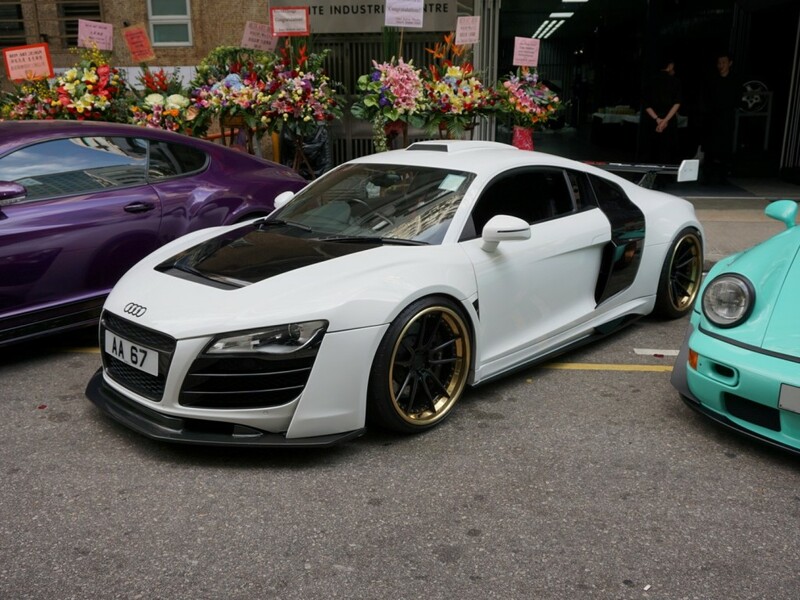 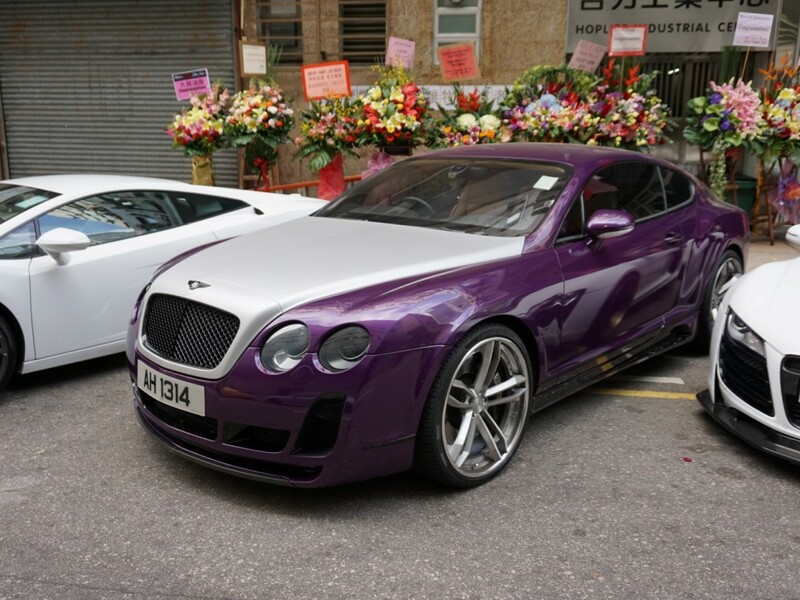 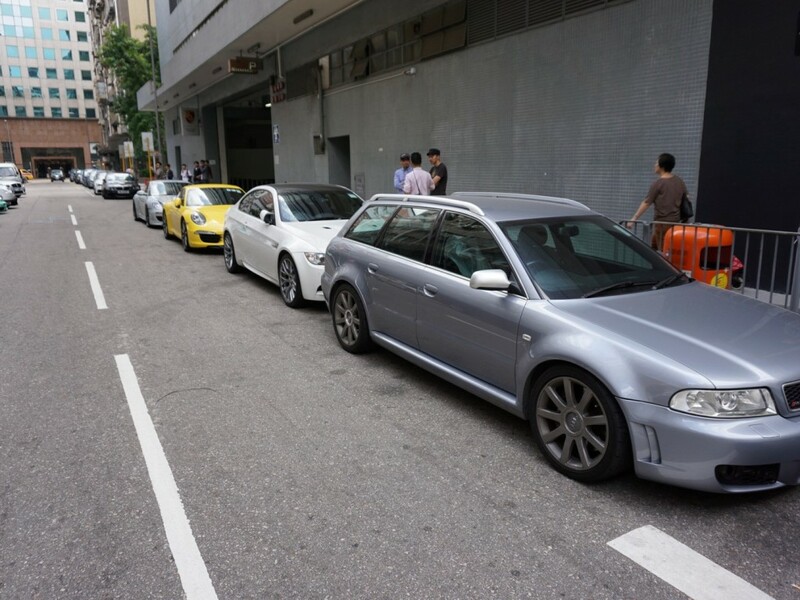 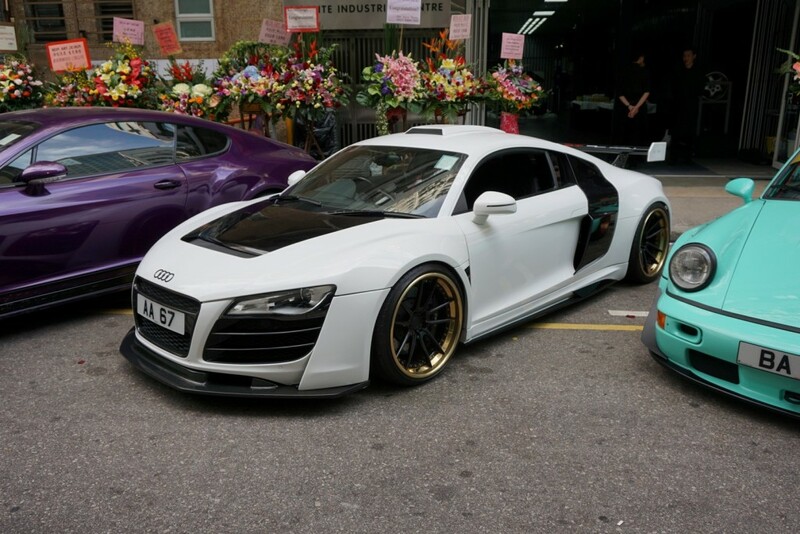 We realized now is the time for change in the Hong Kong automotive tuning industry. 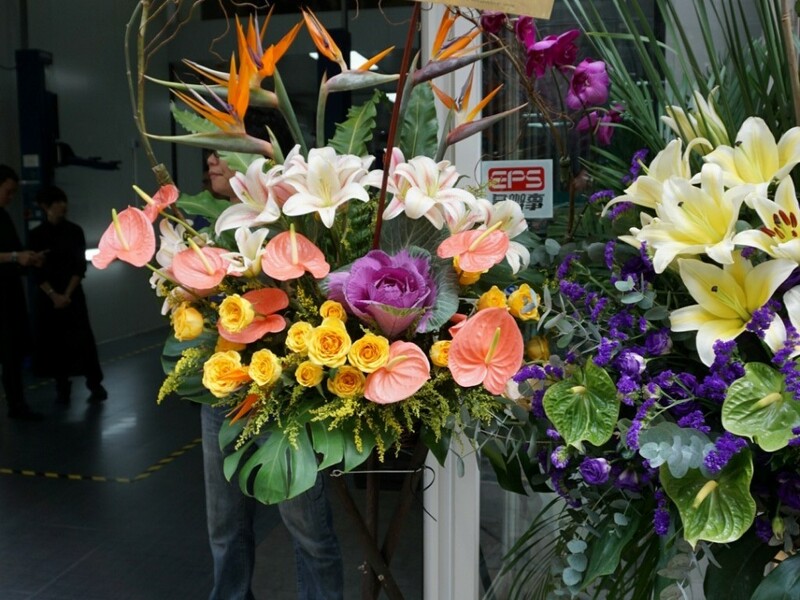 The conception of thisÂ shopÂ has been in the works for over 6 months. 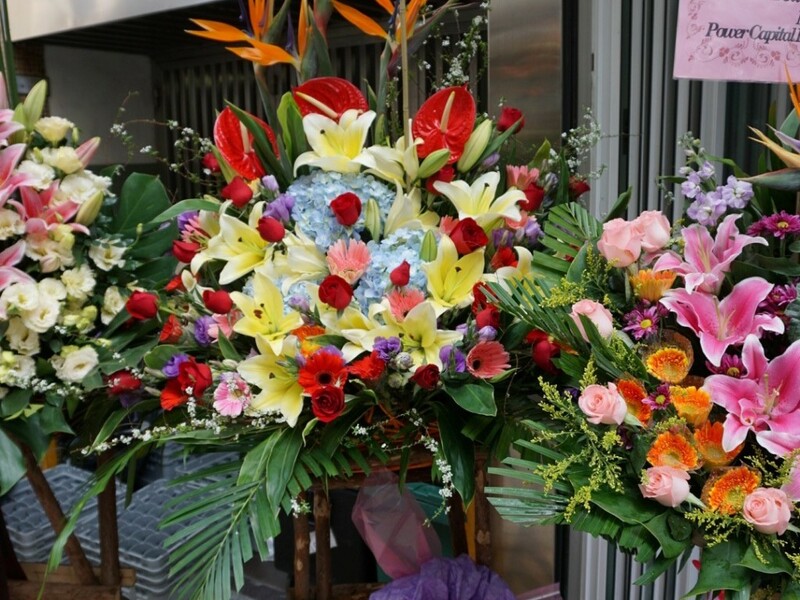 We could not be happier with howÂ things finally turned out. 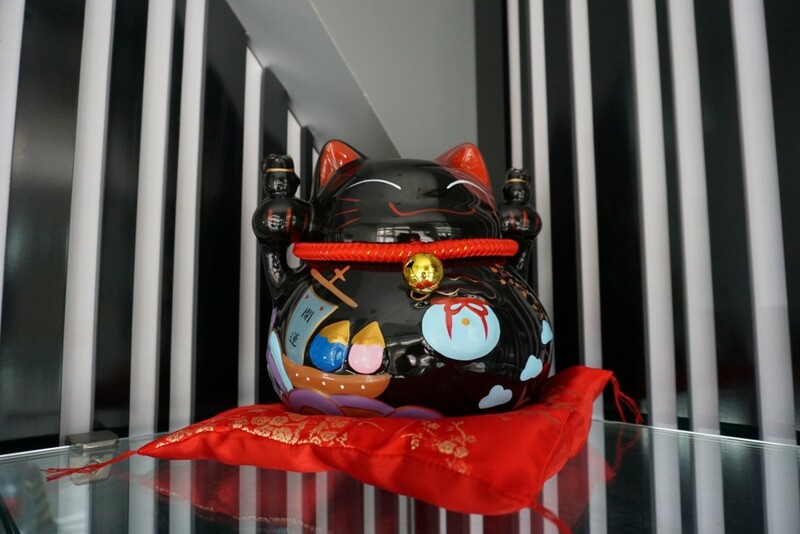 Our little shop may not be the biggest or grandestÂ but we promise to deliver a product that leaves every customer satisfied and proud to display. 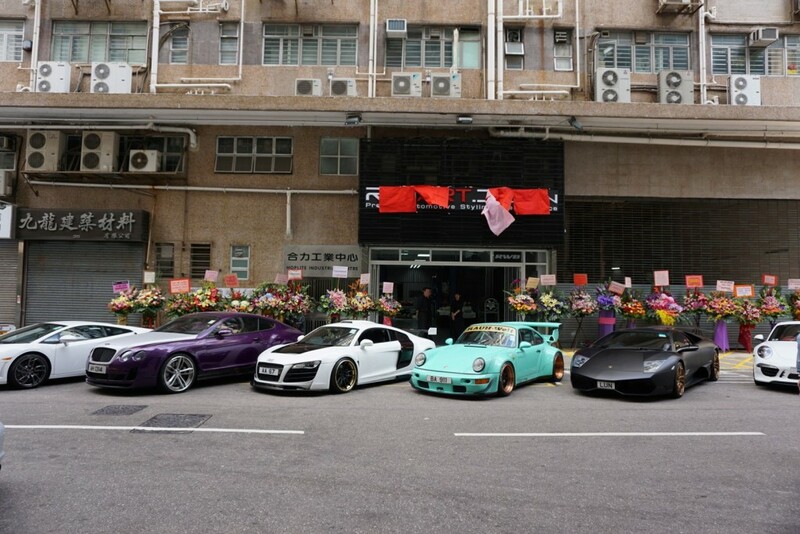 On our opening day, a few members from the RA.Design team woke up bright and early to meet the regular Sunday morning drive crew at Big Wave Bay. 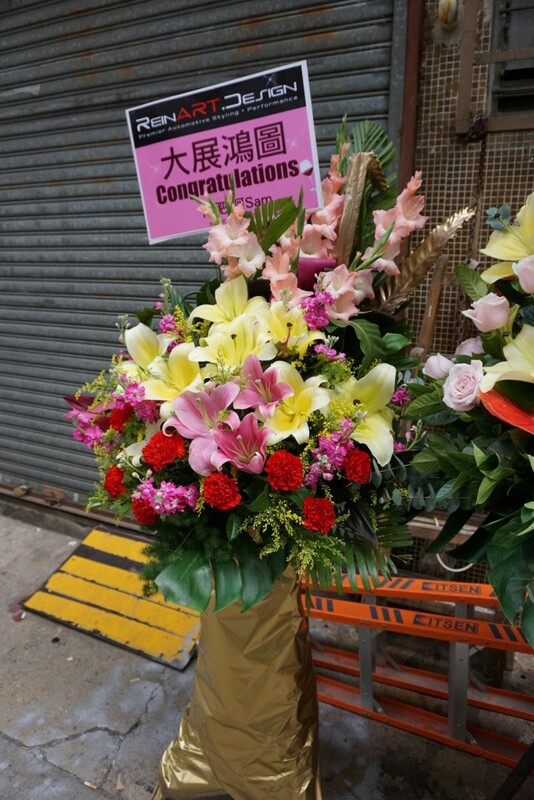 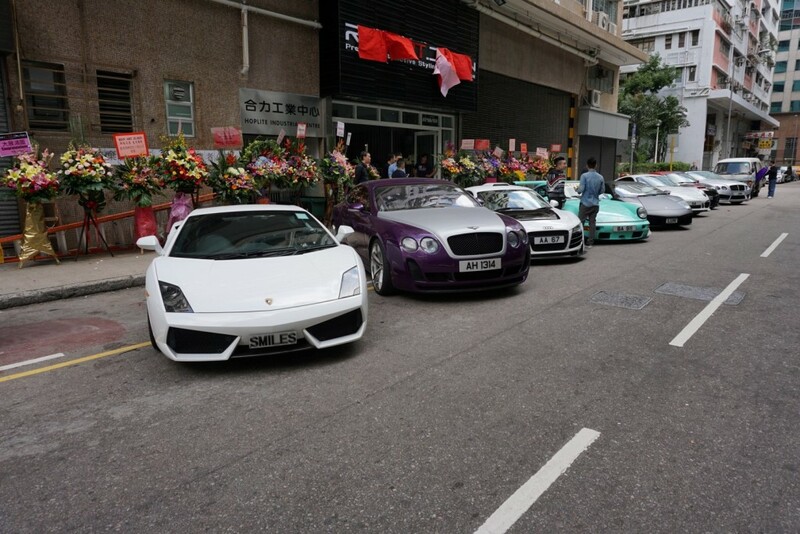 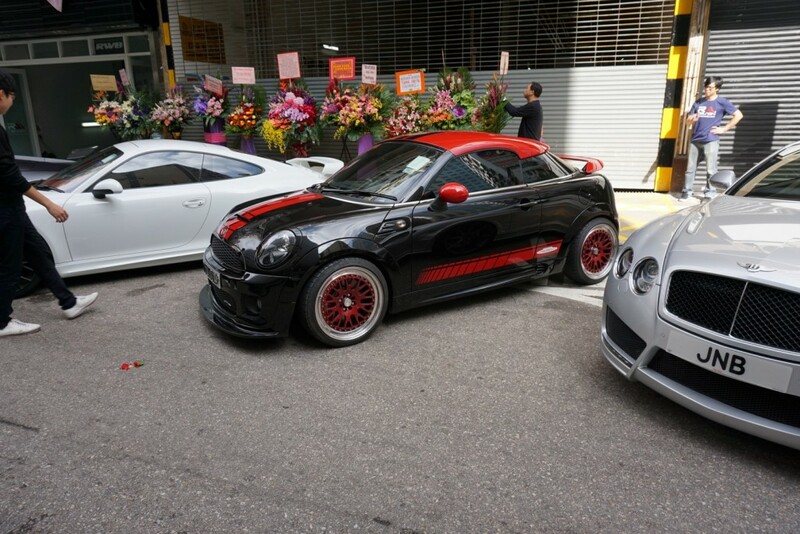 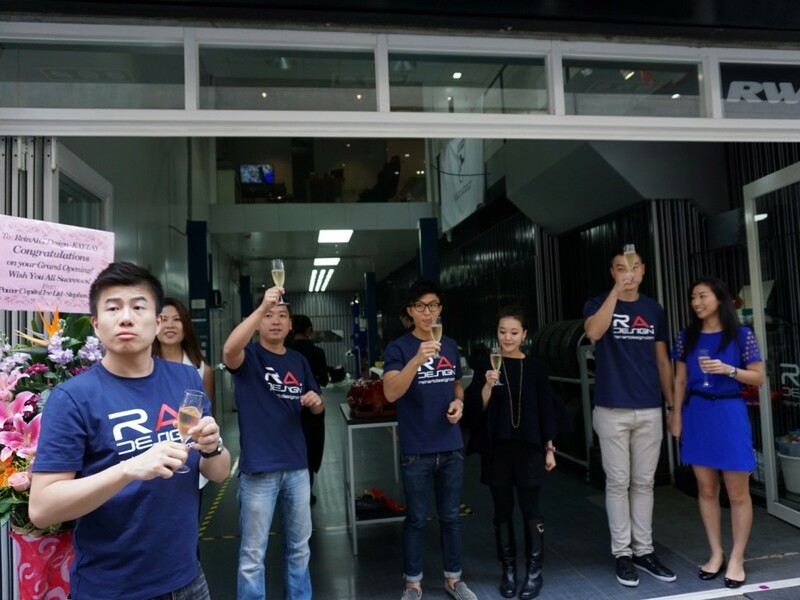 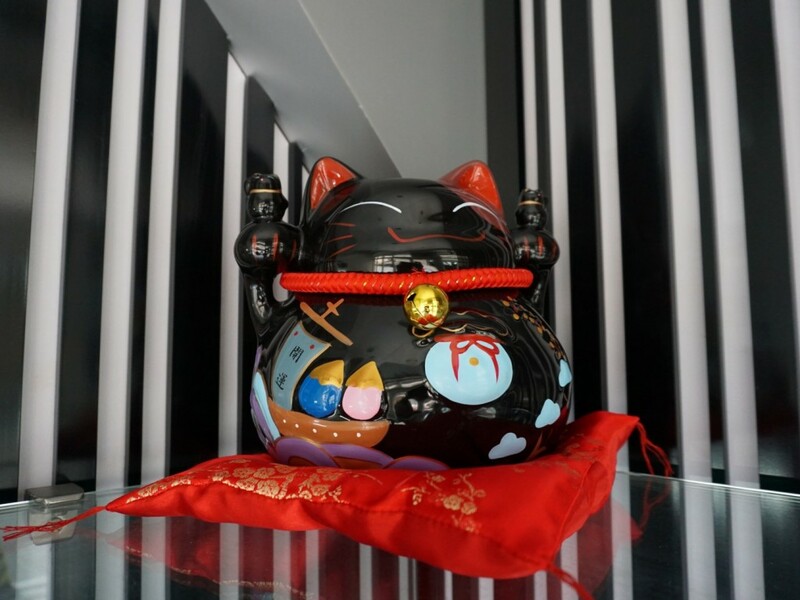 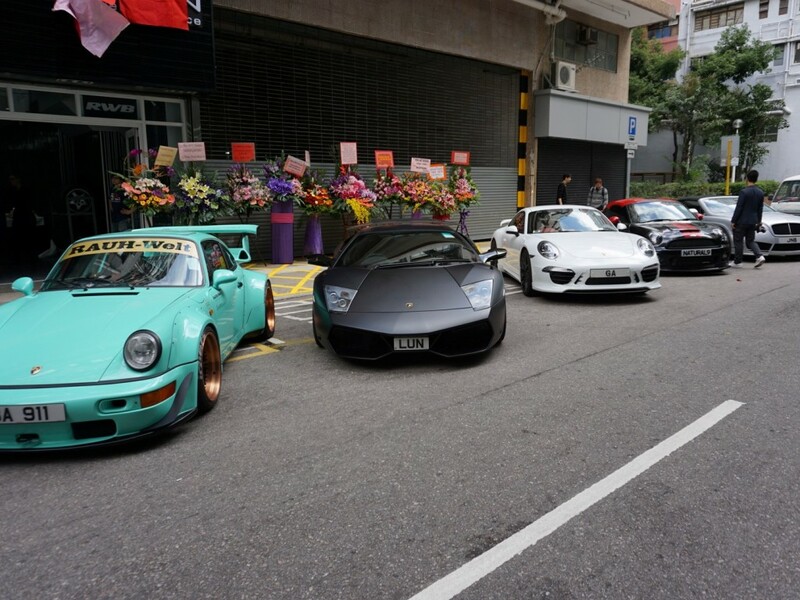 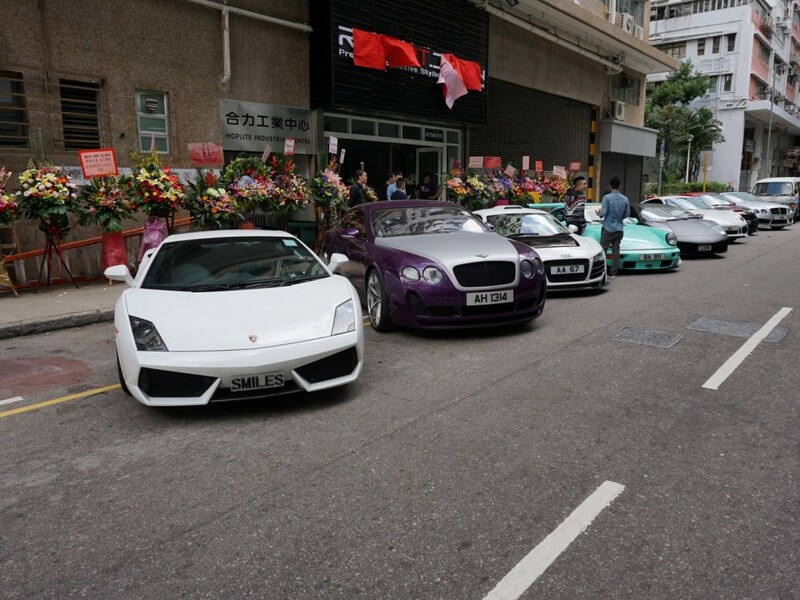 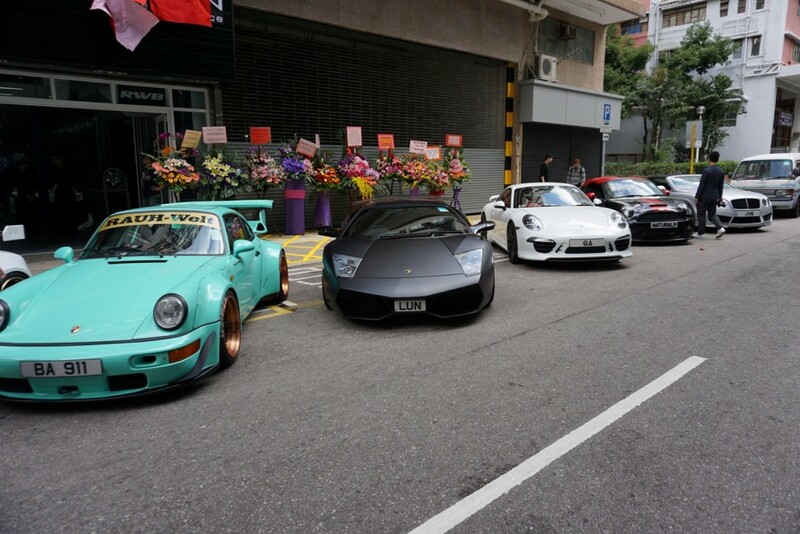 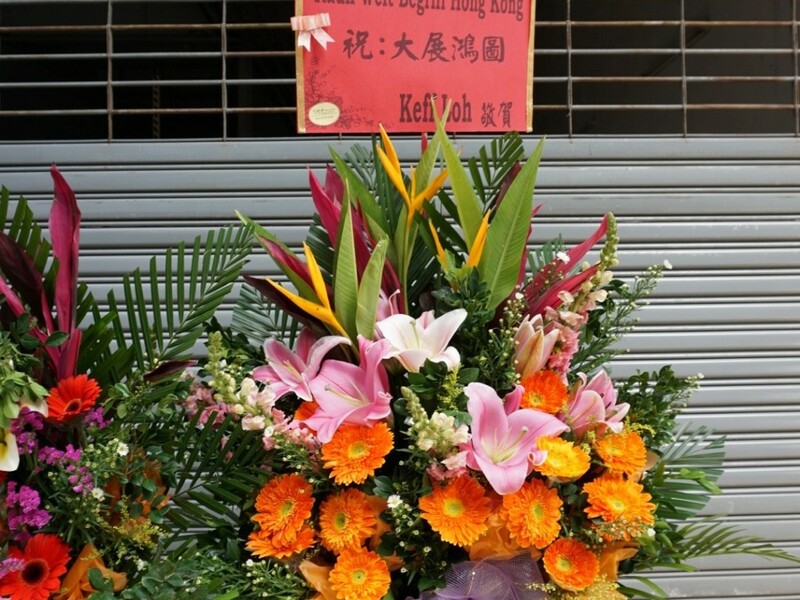 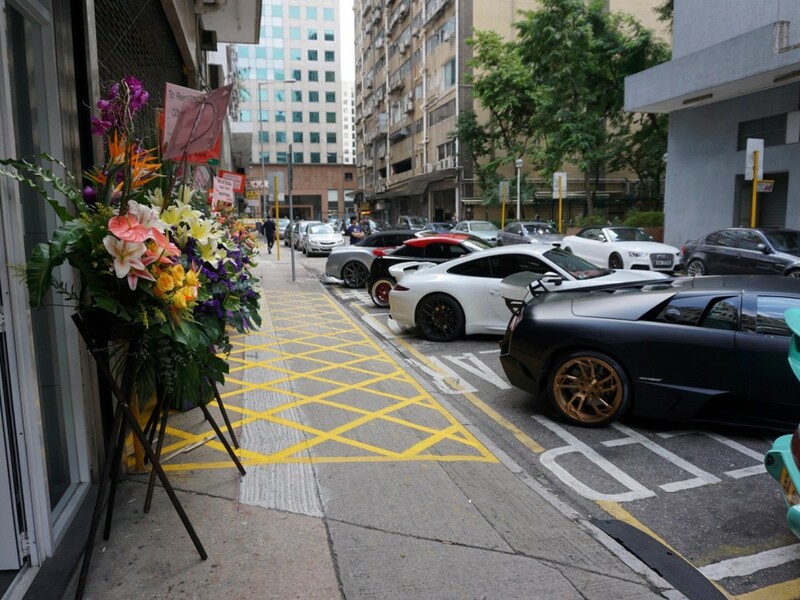 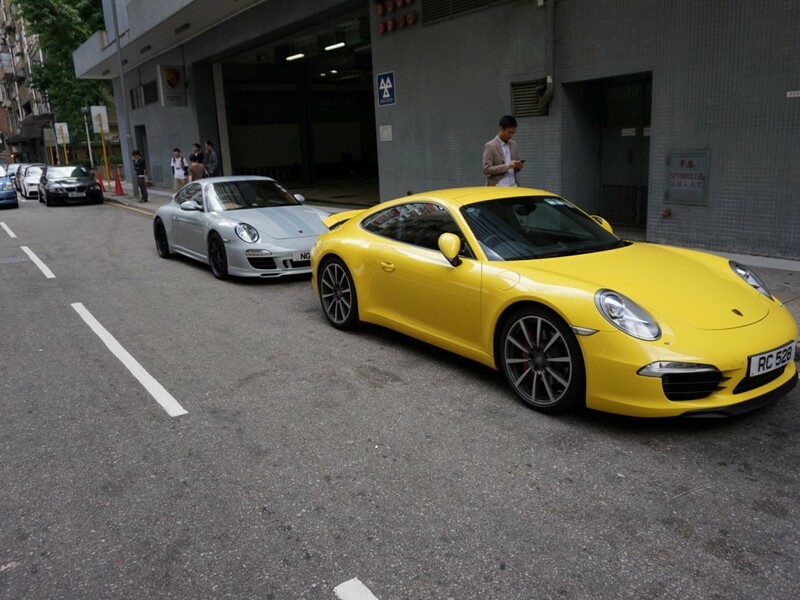 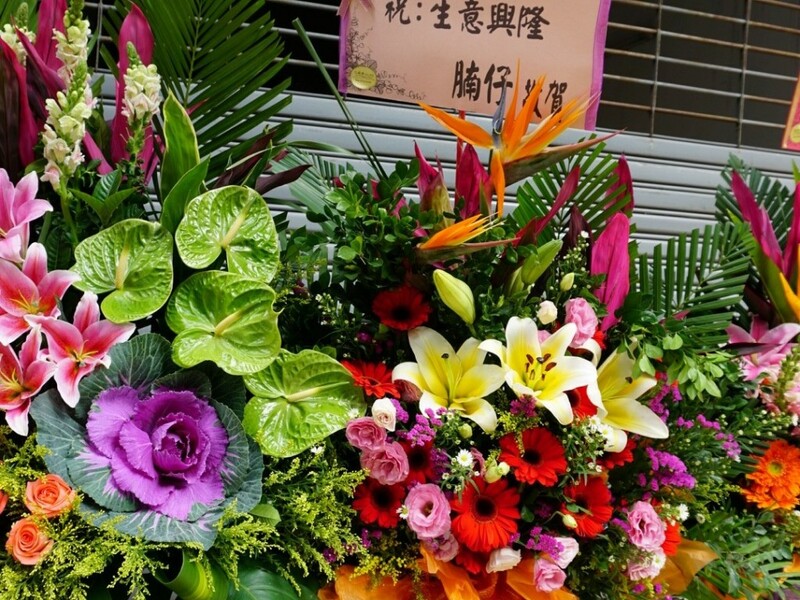 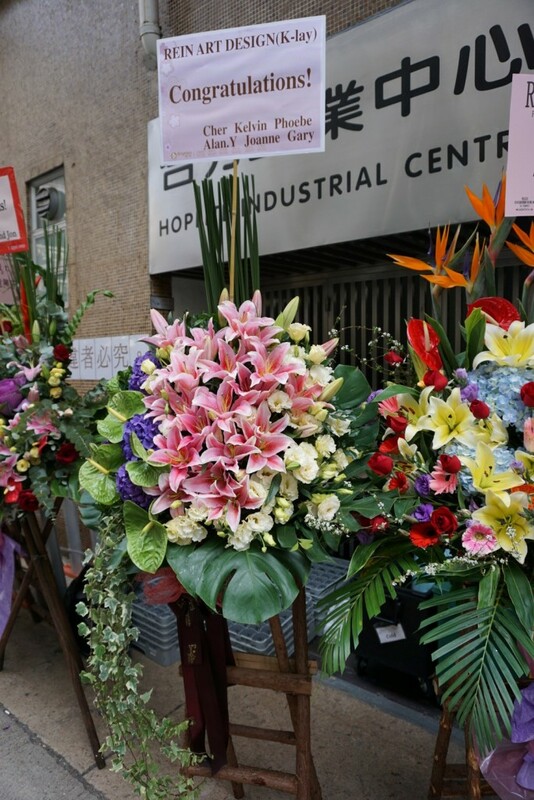 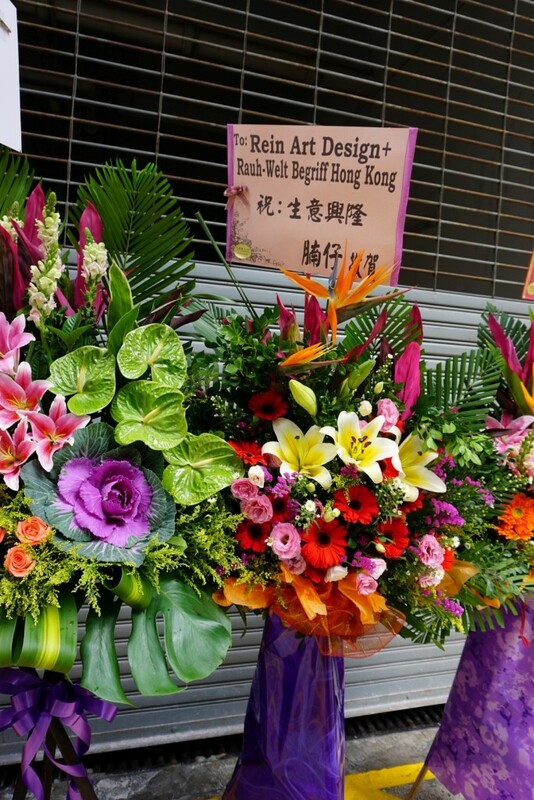 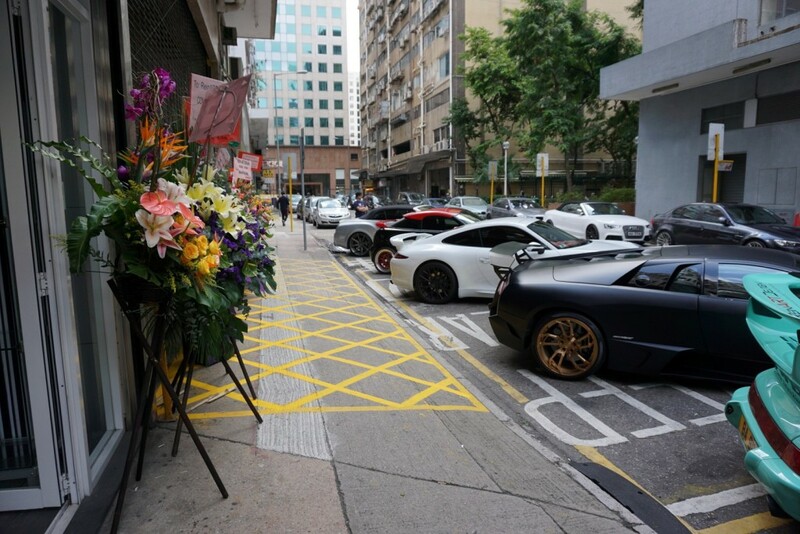 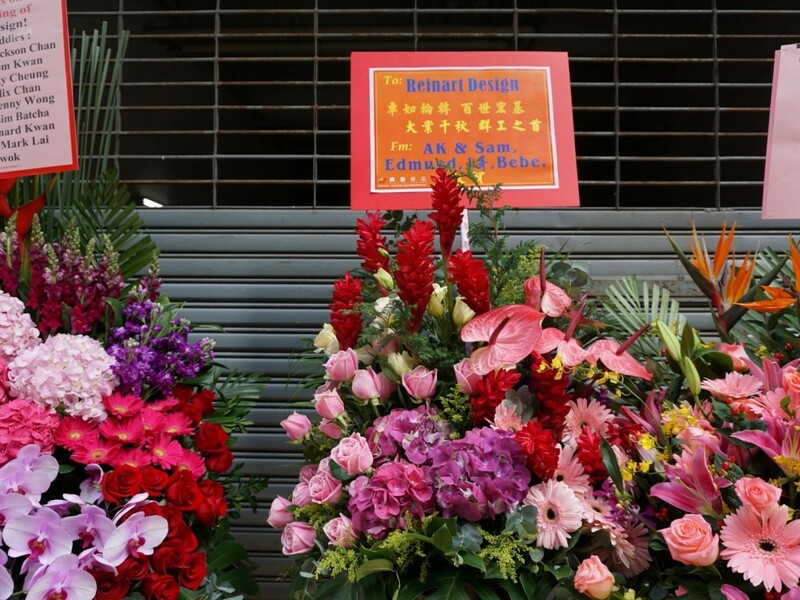 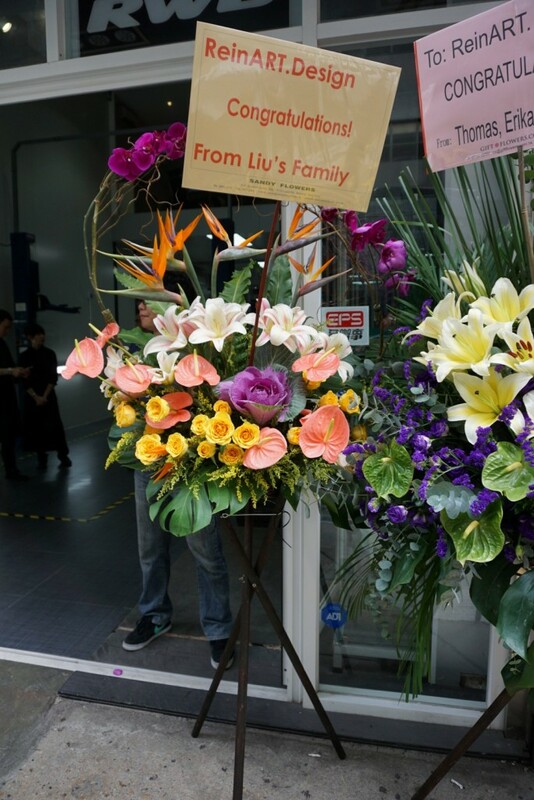 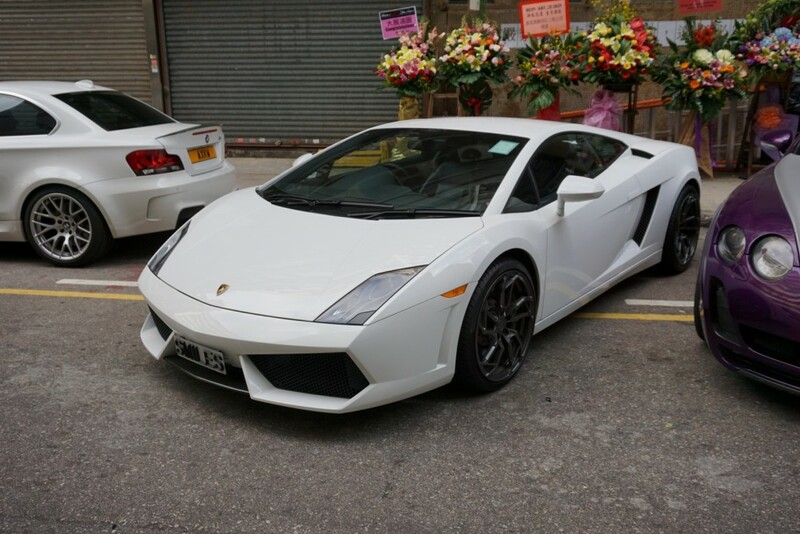 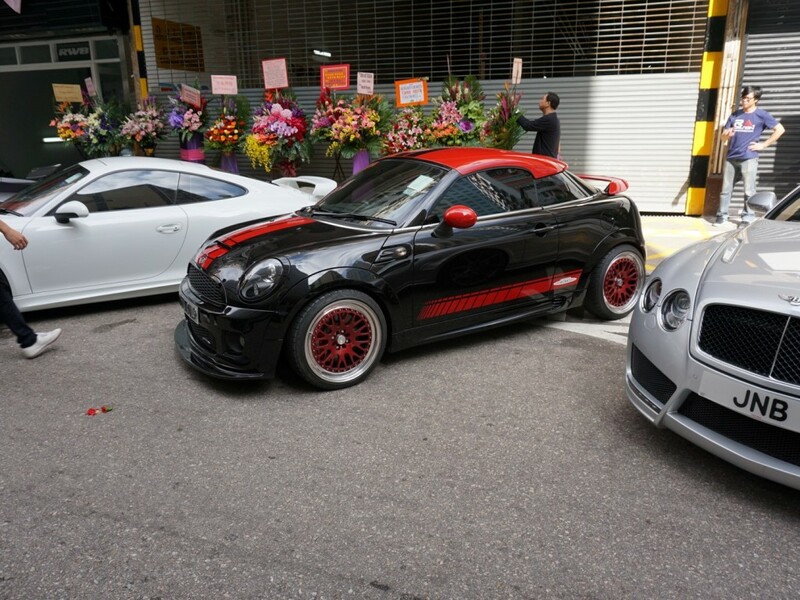 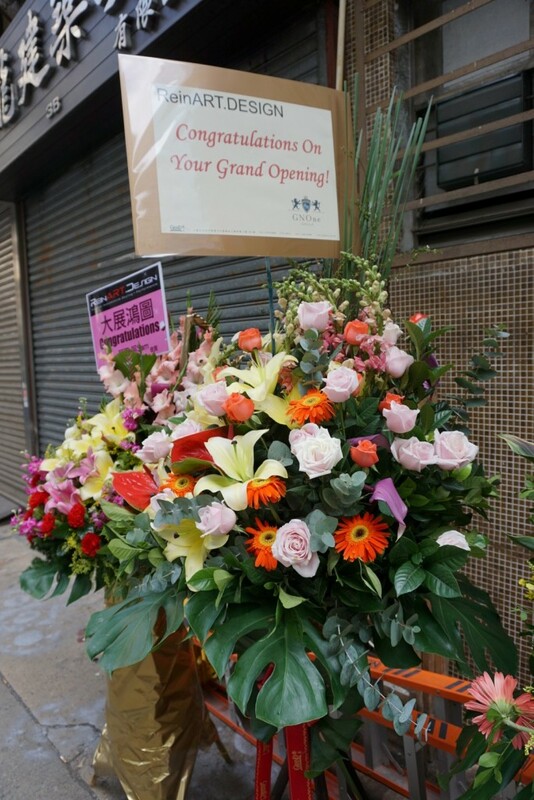 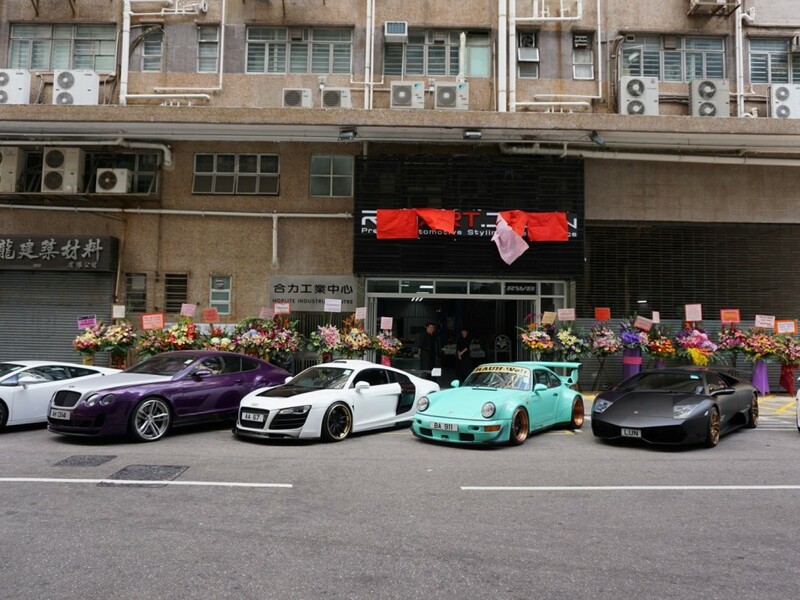 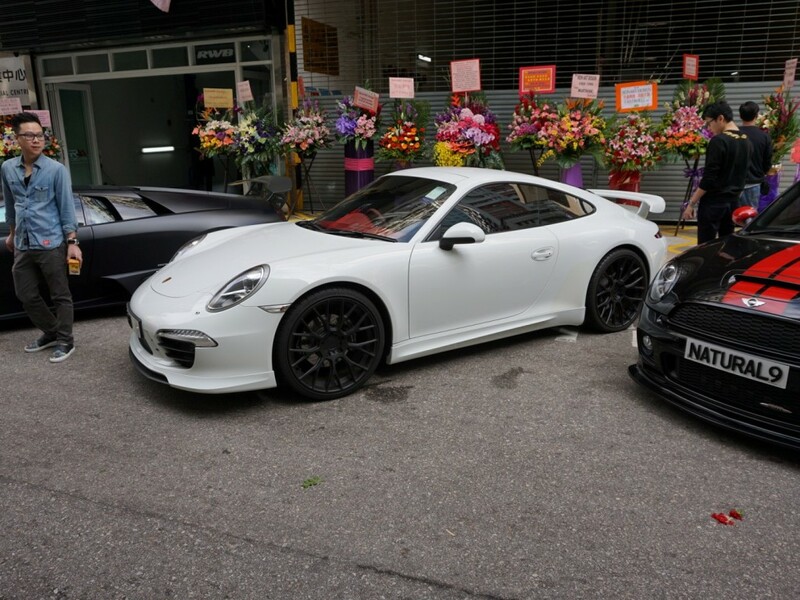 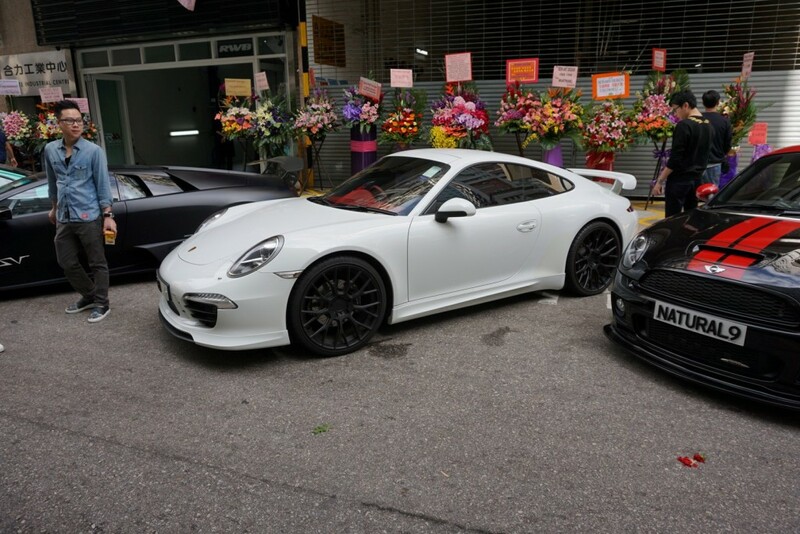 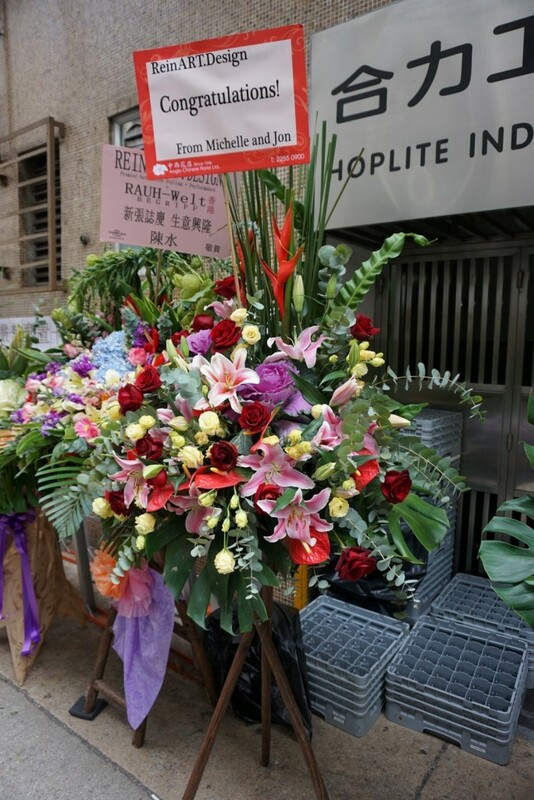 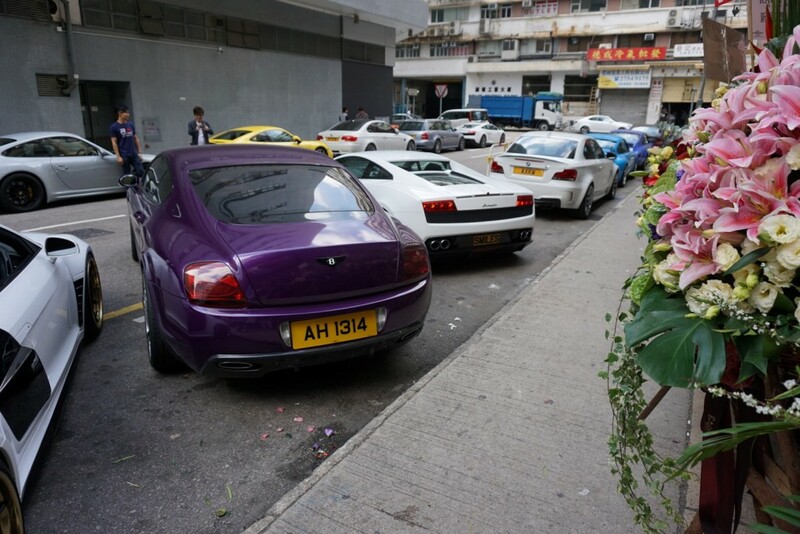 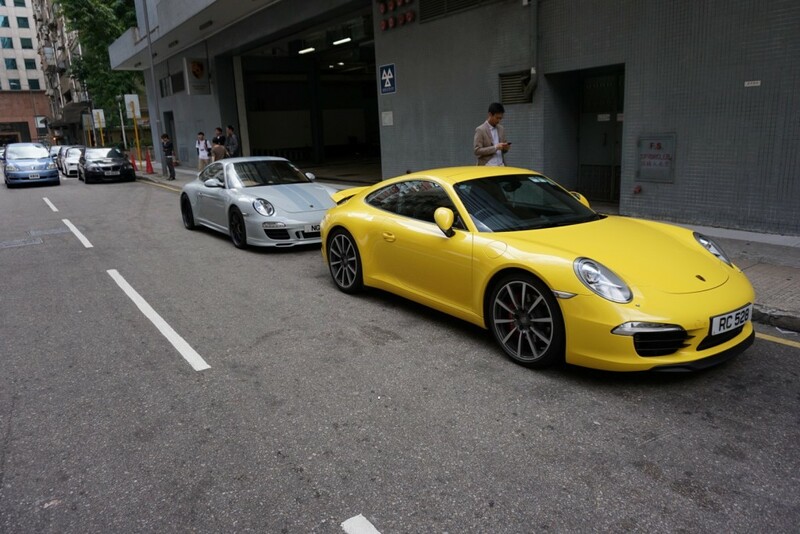 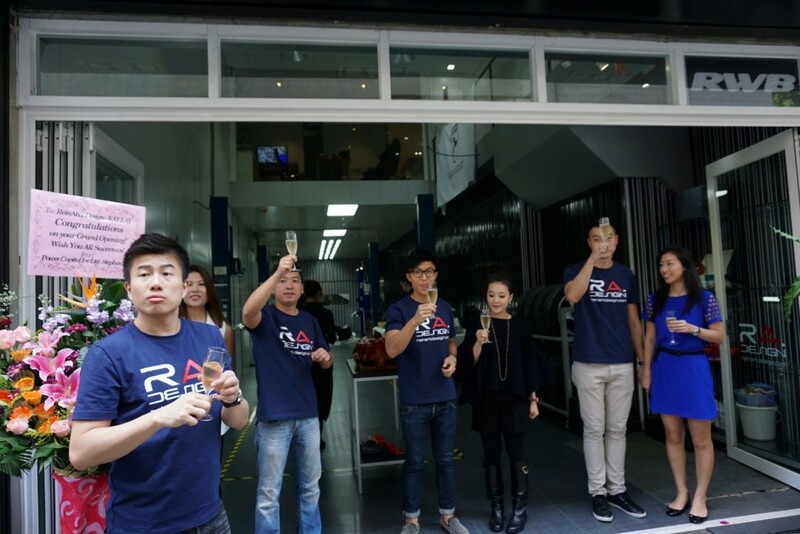 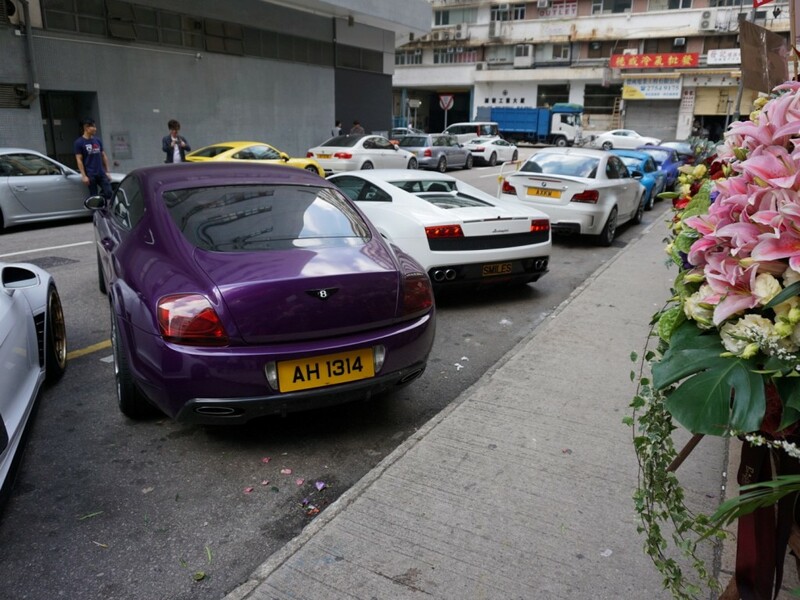 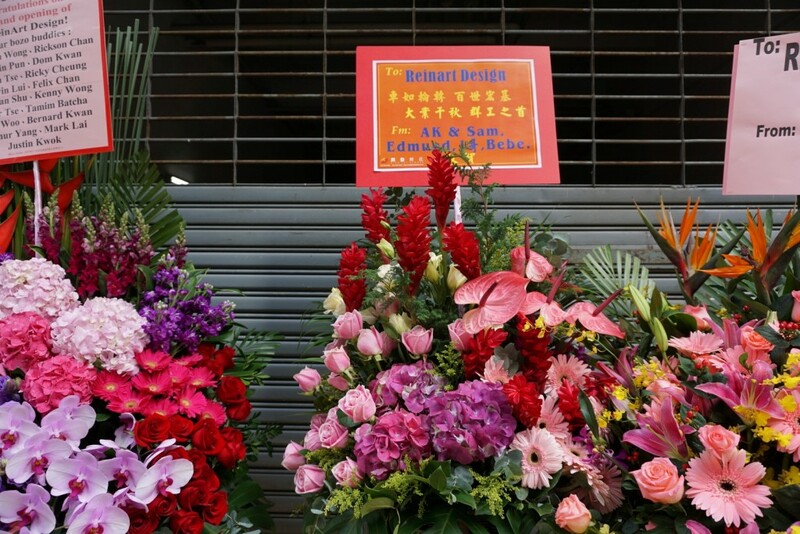 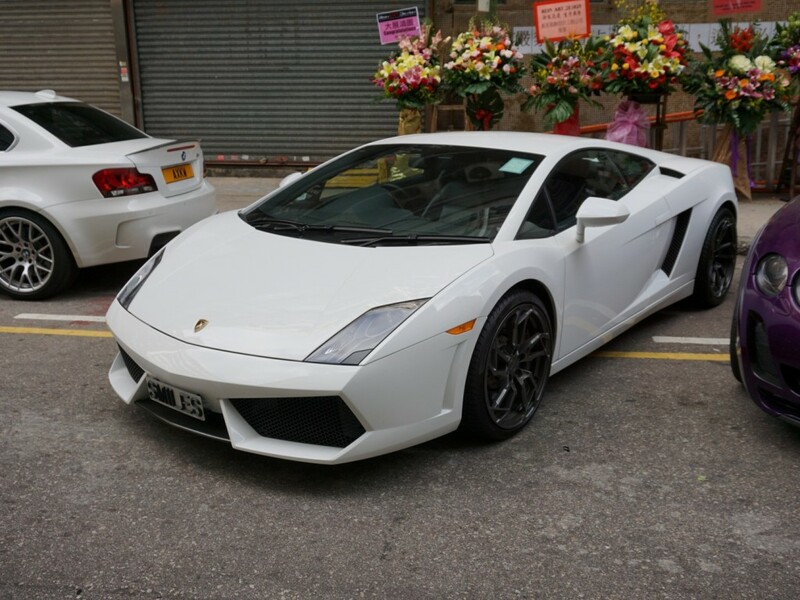 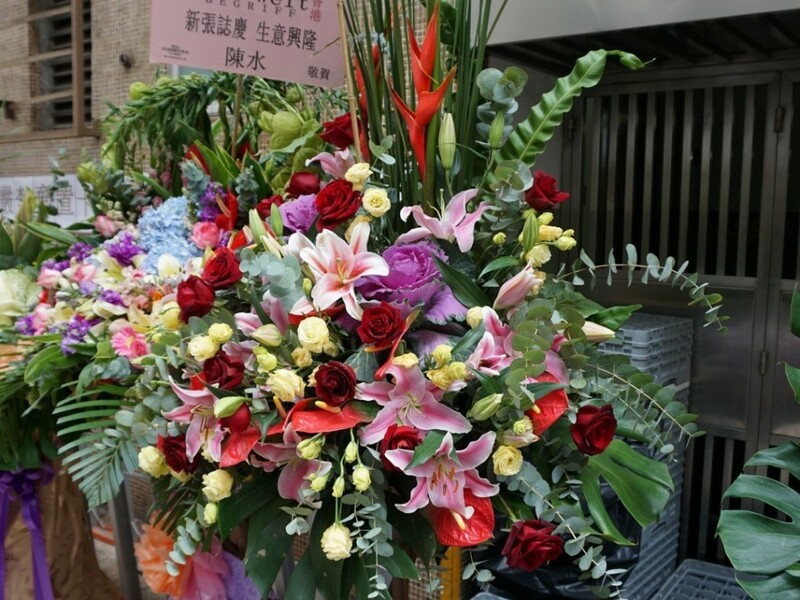 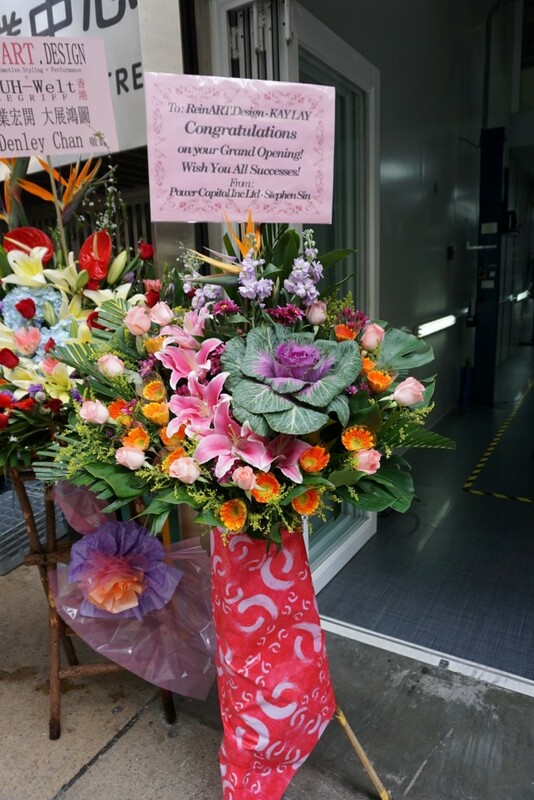 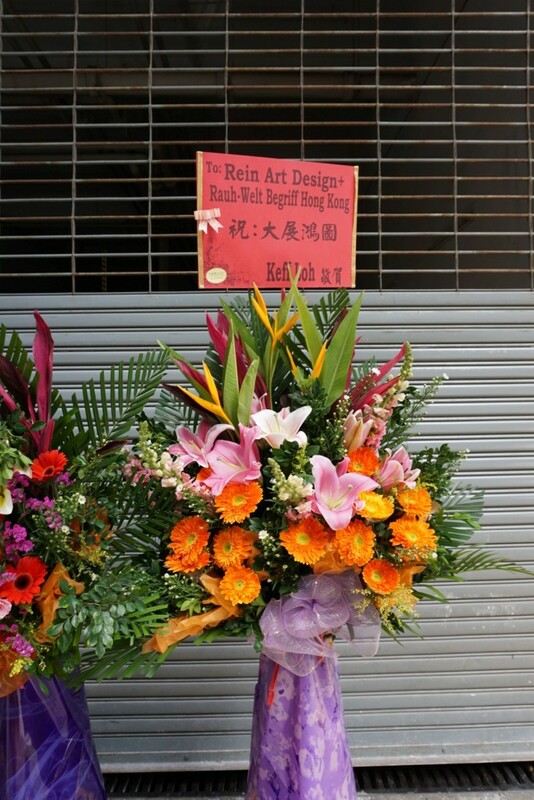 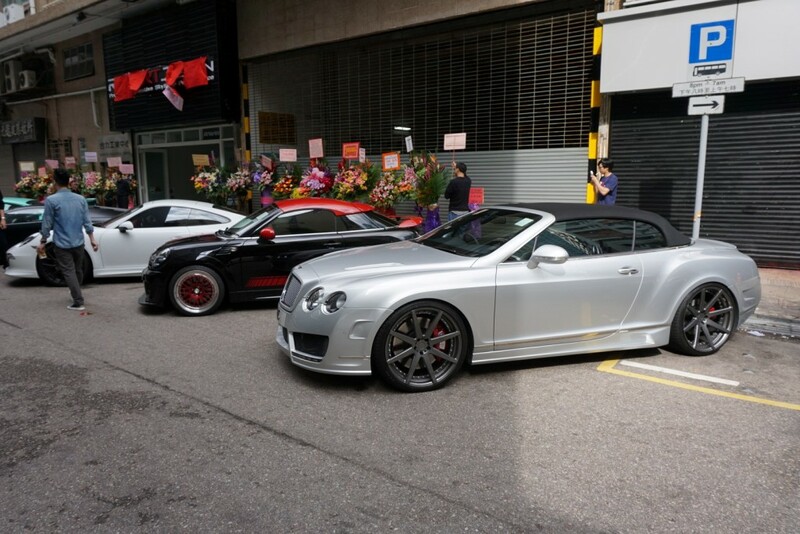 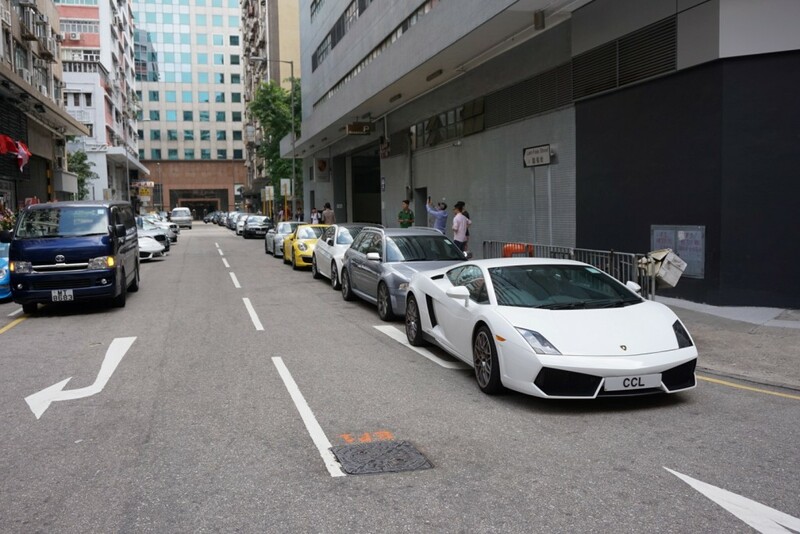 From there, theyÂ gathered andÂ cruised together to our shop in Kowloon Bay. 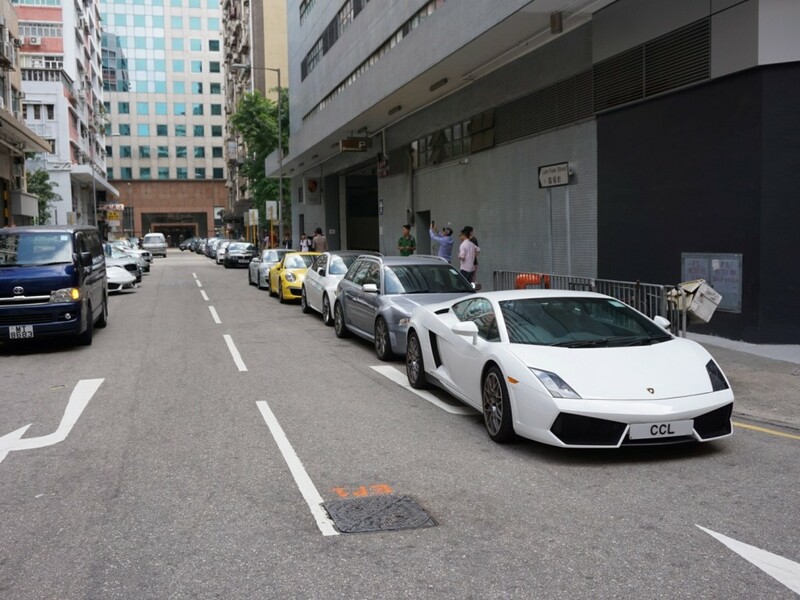 Seeing as it was a Sunday, we were very fortunate to be able to getÂ most of the parking spaces on our street. 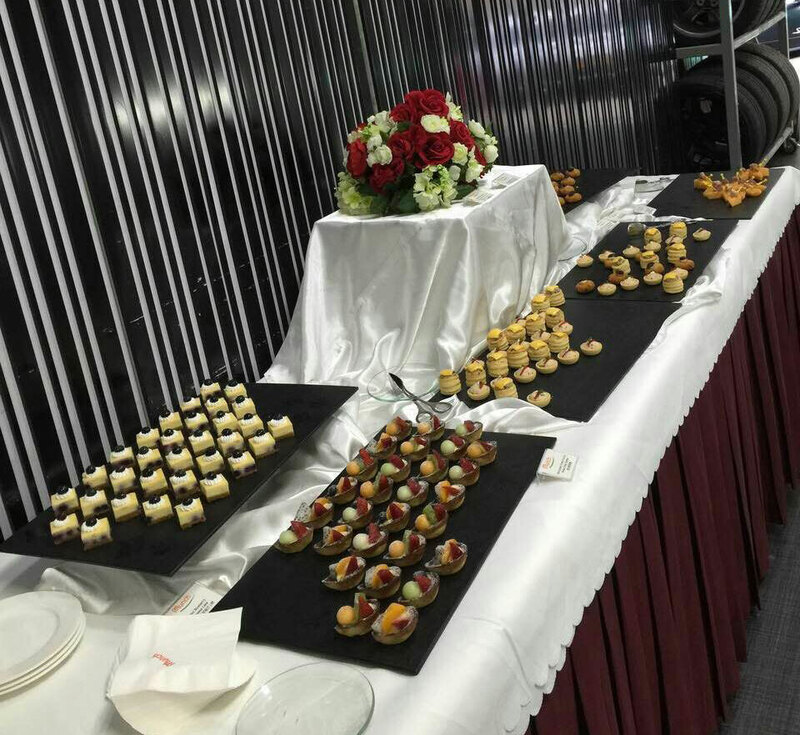 At our Grand Opening we had a fantastic turnout with over 80 guests. 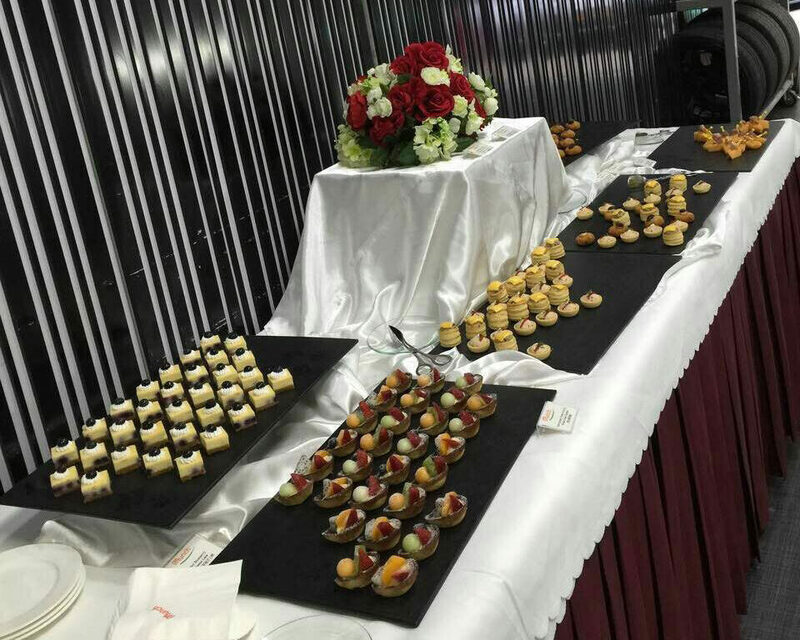 The event was catered with wine, champagne and canapes from Munch. 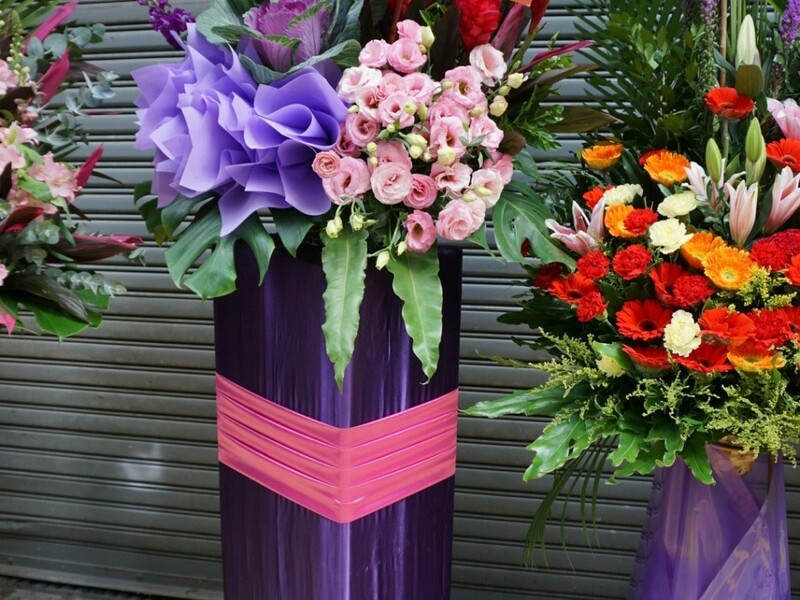 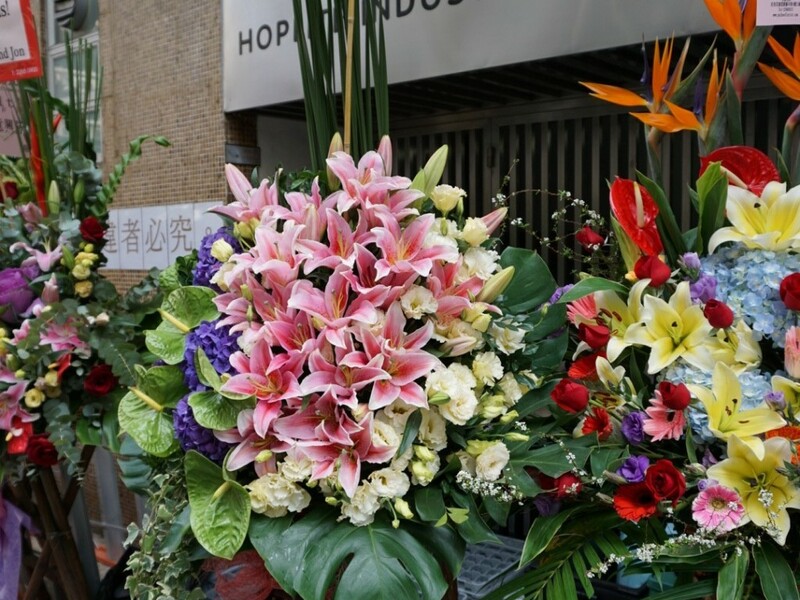 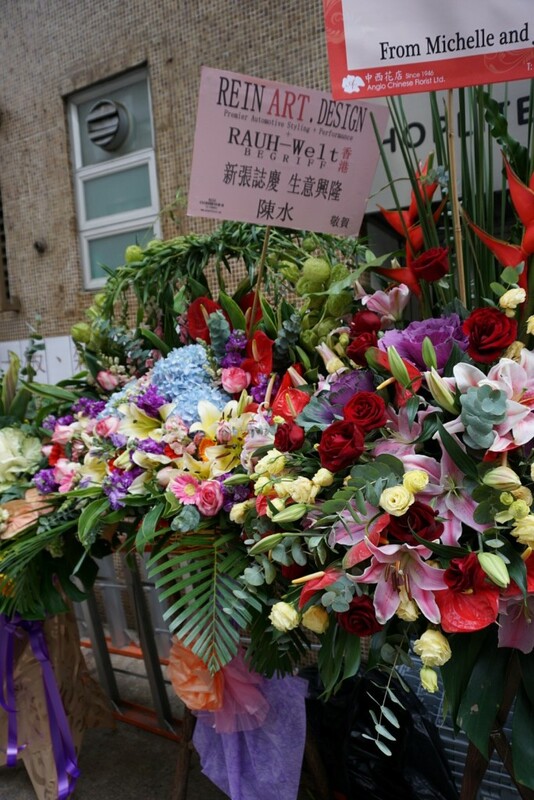 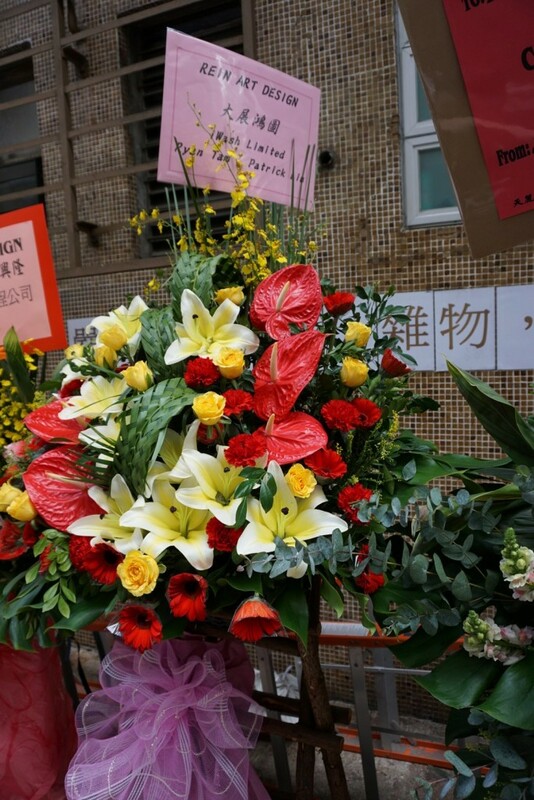 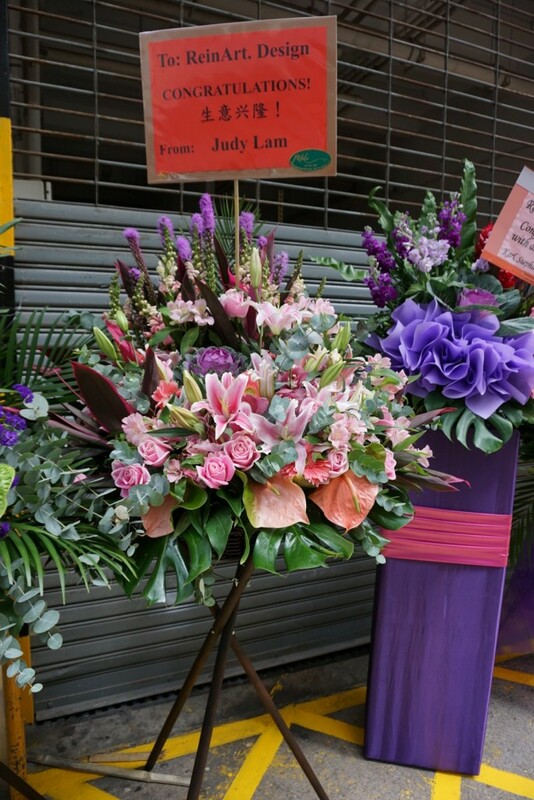 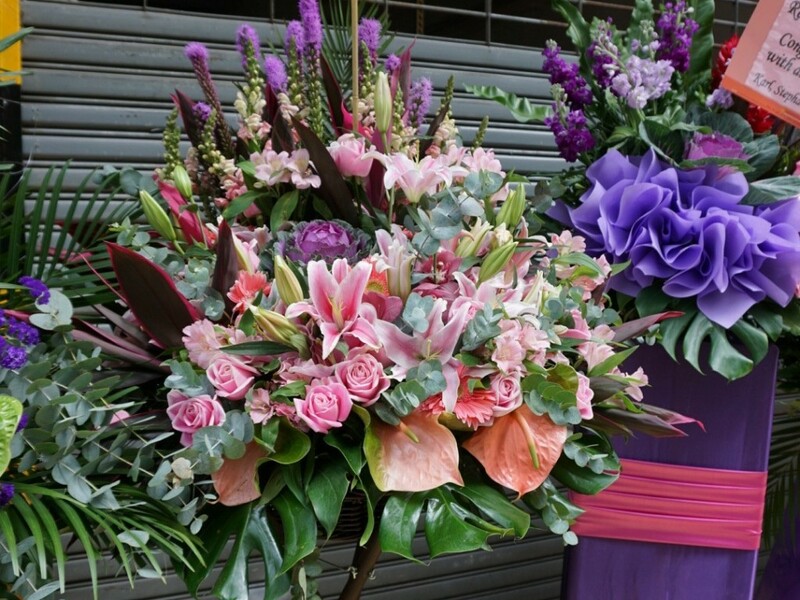 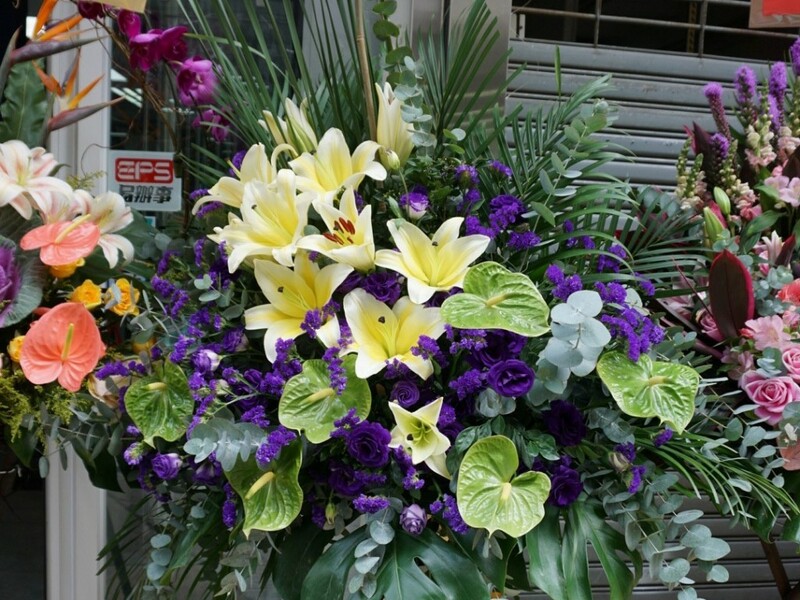 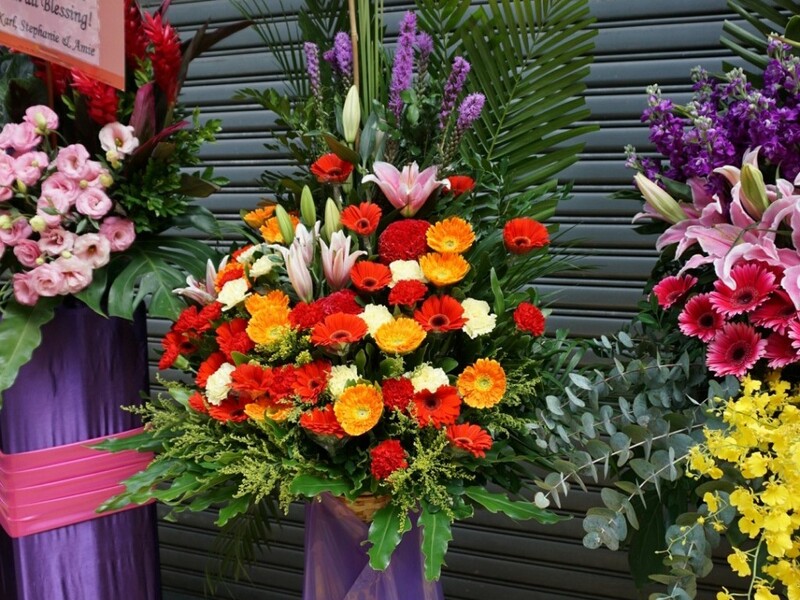 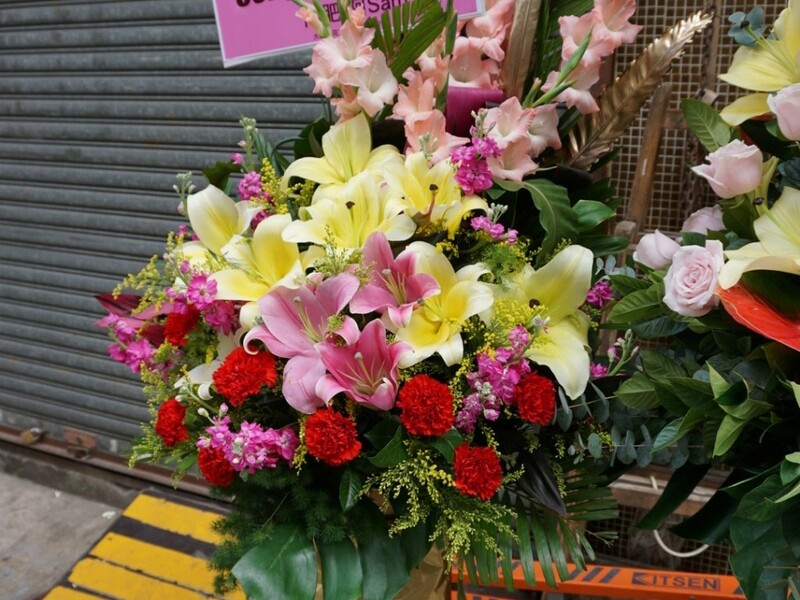 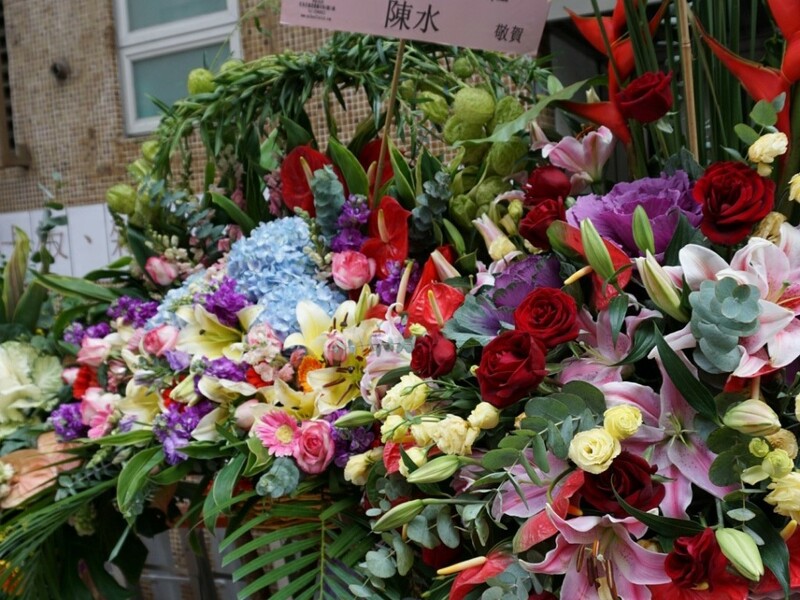 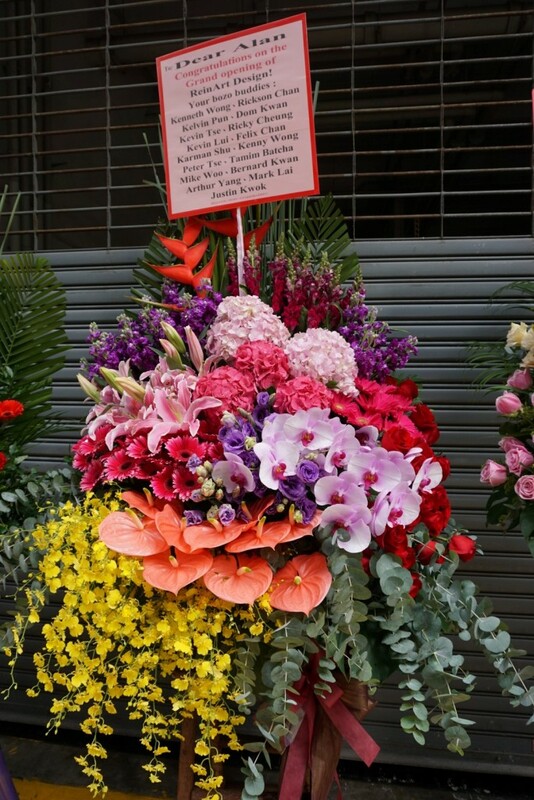 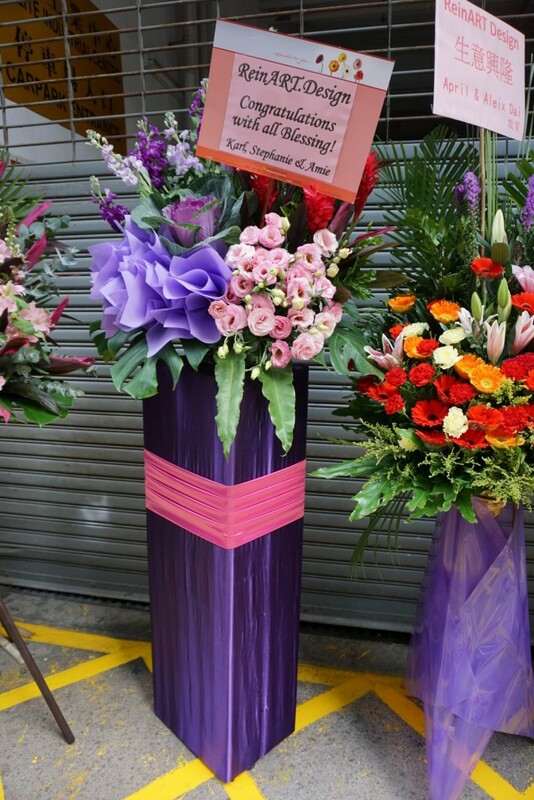 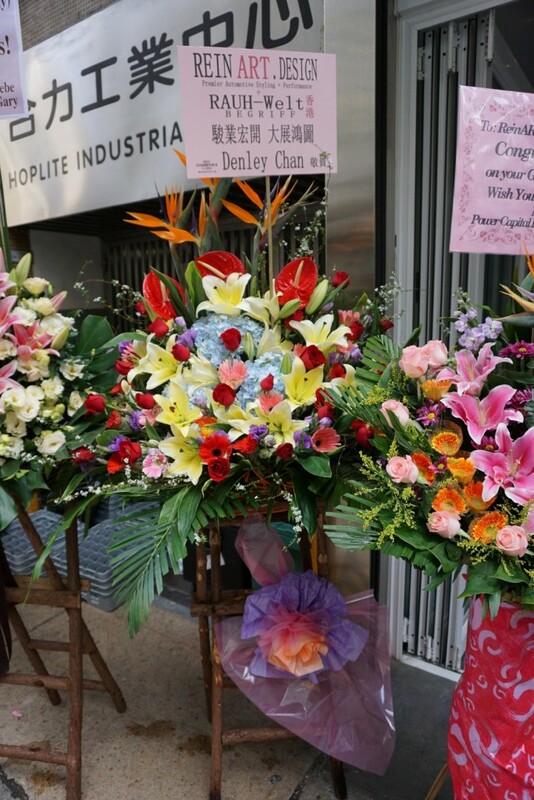 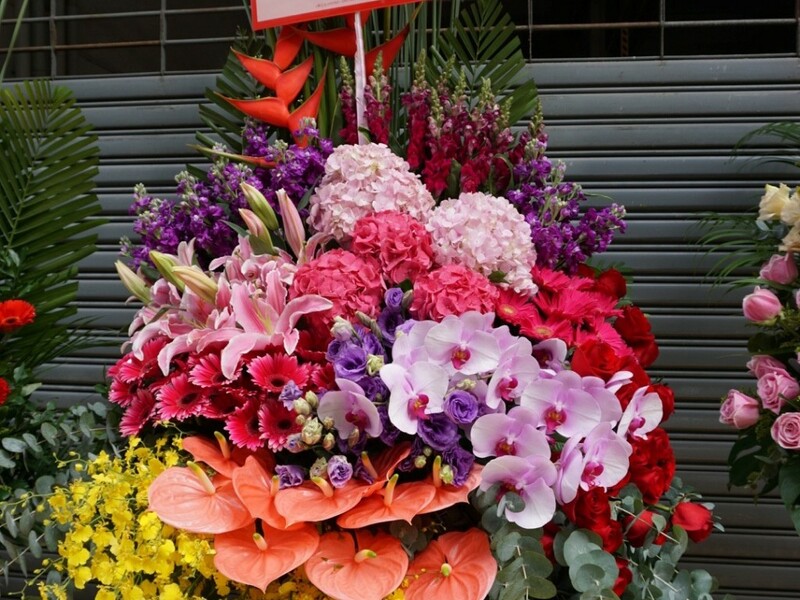 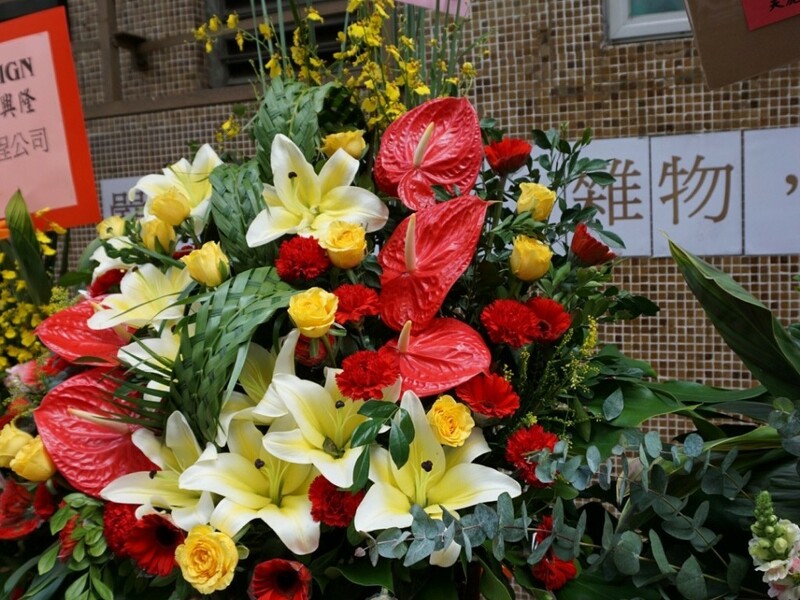 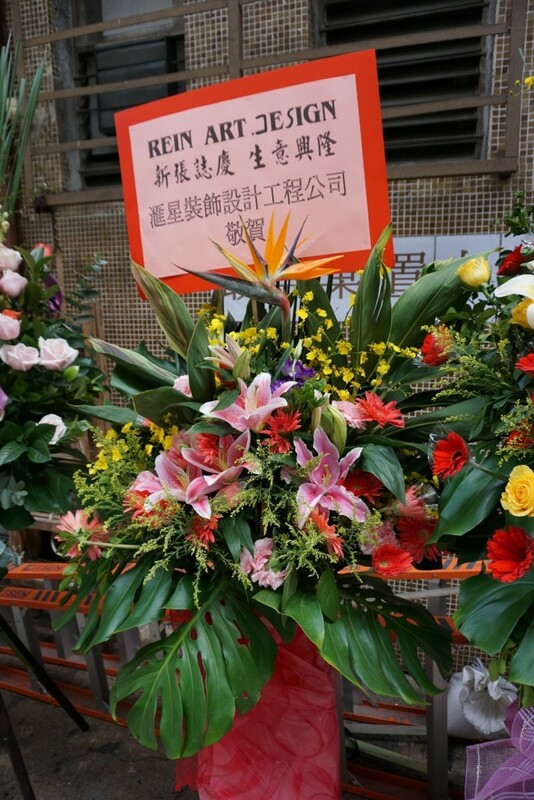 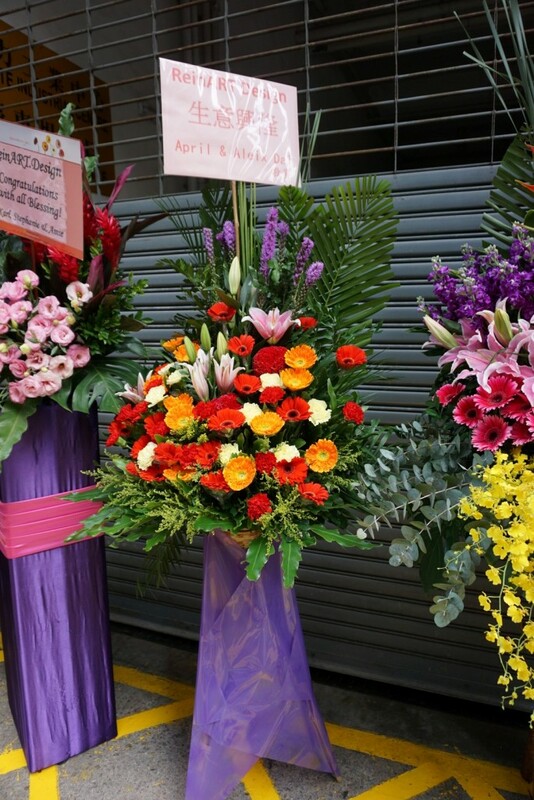 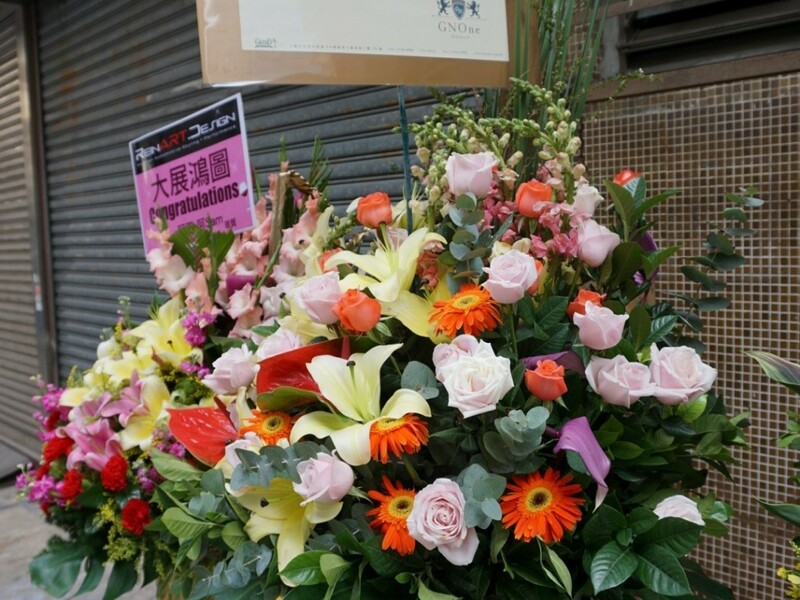 With flowers lined up andÂ down the street, some mightÂ have thought that we were a florist. 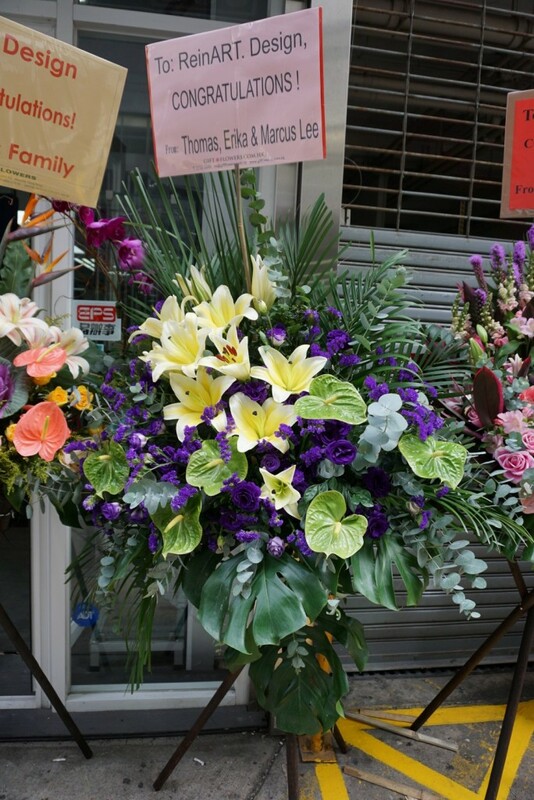 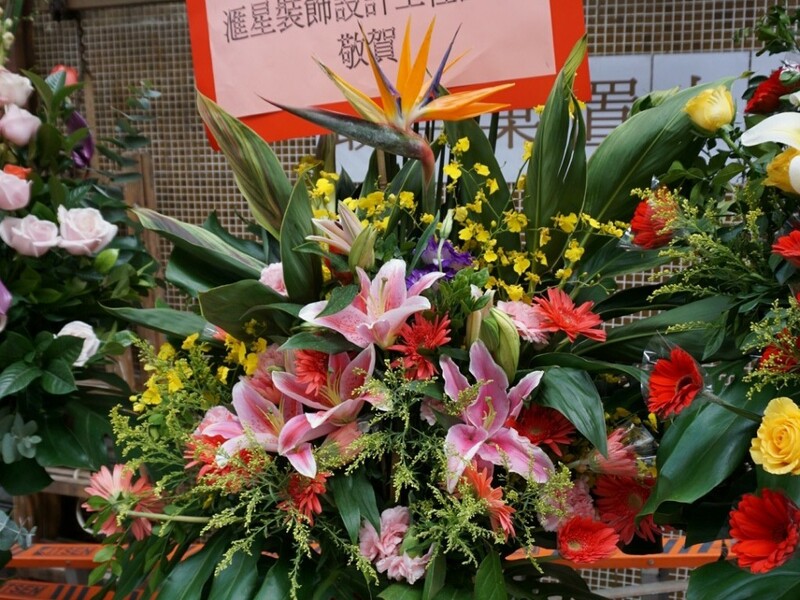 We can’t express how deeply grateful we are to everyone that sent us floral arrangementsÂ and gifts. 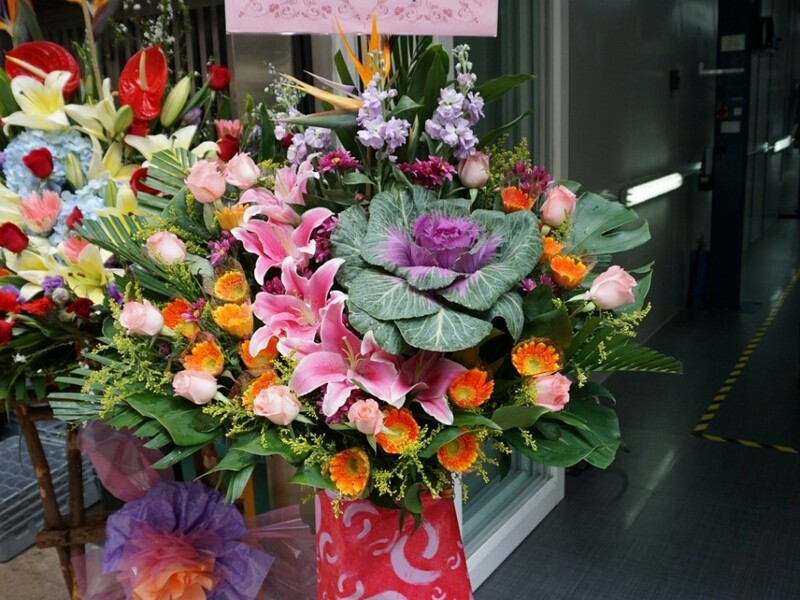 Your support and love is truly appreciated! 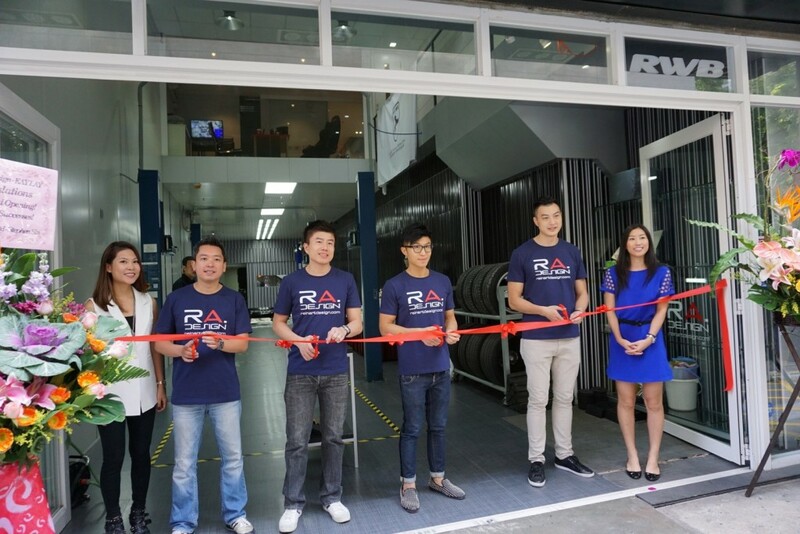 With the traditional cutting of the red ribbon andÂ roasted pig, ReinART.Design/RAUH-Welt Begriff was now officially open for business! 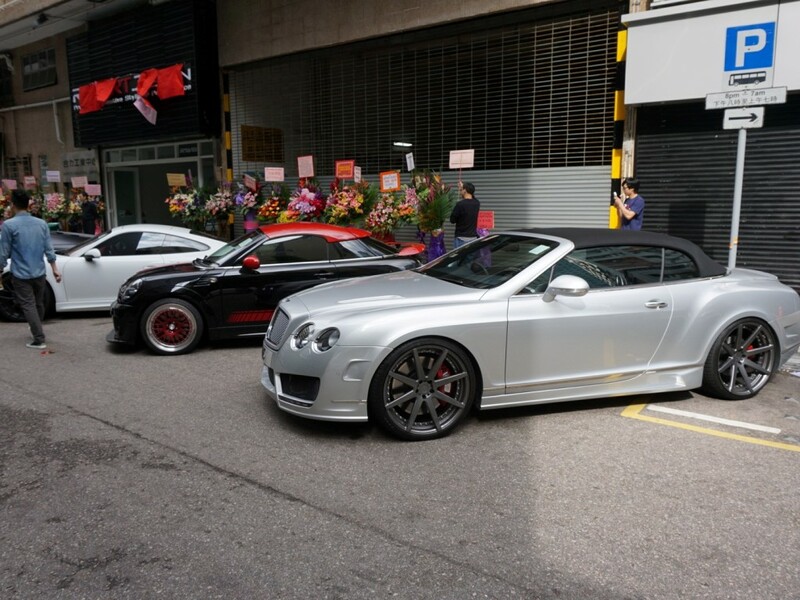 We are here to help you with any of your automotive customizing, tuning andÂ service needs.